MANILA, Philippines – Authorities remain clueless on the motive behind the gruesome killing of Gloria Gonzales; the wife of PLDT executive John Gonzales. The woman’s body was found inside her gold Innova (OUS-146) in Barangay San Vicente in Binan City, Laguna. Apart from two recovered CCTV footage showing her car passing along the Carmona highway in Cavite on June 25, police are still facing a blank wall in the investigation of her murder. The first CCTV showed her vehicle driving along Barangay Cabilang Bahay around 1:46 pm on June 25. 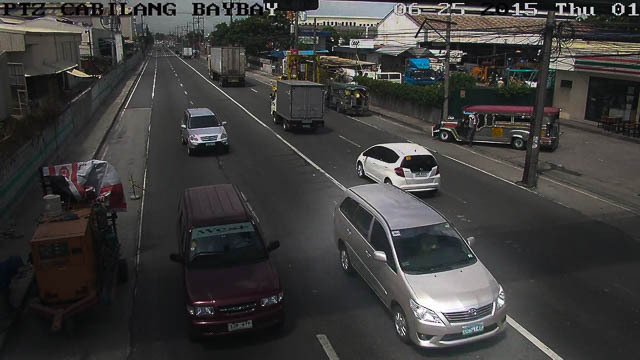 Another footage showed the Innova passing along Barangay Mabuhay at the Southwoods intersection a few minutes later around 1:55 p.m. While the plate number was visible from the camera, the vehicle’s occupant/s including the driver was not clear. Gonzales went missing on June 25 after leaving their Paranaque residence. Her husband told authorities the last signal on her phone was traced at a location in Barangay Acacia in Silang, Cavite around 2:30 pm on the same day. Her abandoned car was discovered by one Chester Gerodias who alerted the police of the suspicious, foul smelling liquid dripping from the backside. Responding police discovered Gonzales’ body; her hands, legs and head wrapped in plaster tape. Autopsy revealed Gonzales suffered three blows to the back of her head from a blunt object which may have caused her d***h. Her corpse was already in the advanced state of decomposition and police said she could be d**d for not less than 72 hours upon discovery on June 28. Investigators are probing into other possible angles behind her d***h including robbery, business rivalry, love triangle or old grudge, said Superintendent Chitadel Gaoiran of the Calabarzon police. The victim is said to be in the jewelry business and was about to meet somebody before she disappeared, her husband said. While robbery remains the main focus of the investigation, police are not discounting other motives, even as there were no belongings of the victim recovered from the car. “If it were just robbery, why didn’t they take the vehicle?” said Supt. Gaoiran referring to the assailants. The testimonies extracted from the witness Gerodias, husband John Gonzales and their households are now under evaluation as part of the continuing investigation.